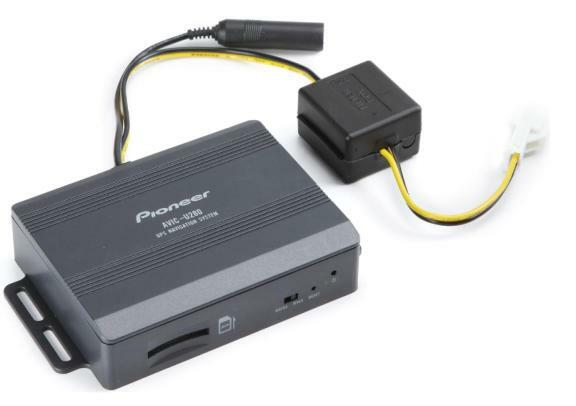 View cart “Pioneer AVIC-U280: Add-on Navigation System with Built-In Traffic Tuner” has been added to your cart. For individuals who already are using a Pioneer DVD receiver, the Pioneer AVIC-U280 offers extra functionality. This GPS module connects right into the DVD receiver, providing you with essential navigation tools that ensure you don’t lose your way on the road. Detailed HERE (formerly called NAVTEQ) maps of the entire U.S., Puerto Rico, and Canada are included, and you’ll also have access to more than eight million different points of interest, helping you find important stops when you’re traveling. If you travel in high-traffic, metropolitan areas, you’ll love the built-in traffic information receiver, since it keeps you from getting stuck in traffic by offering you traffic updates. If you have a Pioneer DVD receiver that is a 2010 or newer, the Pioneer AVIC-U280 will work perfectly, giving you quick access on your touchscreen display. You can also use the switch on this module to choose the video output resolution that you prefer. When you use the module for directions, your receiver will automatically mute music, providing you with the directions you want, and then music will begin again. Since the module comes with a SD card slot, it’s easy to upload any new maps that become available in the future. Once you have this module hooked up to your receiver, you can use the touchscreen to begin using the navigation functions provided. You can choose a point of interest, an intersection, or a street address to get started. This module features text-to-speech technology, which ensures you hear voice prompts via your vehicle’s speakers that let you know when you need to make a turn, and actual street names are provided so you don’t get confused and accidentally make a wrong turn. Choose the 3D or 2D orientation for map views, which can help you easily get your bearings if you’re not sure where you’re at. You’ll also be able to see the posted speed limit on most roads so you don’t accidentally exceed the posted speed.